The initiative essentially stands for a handmade piece your grandmother knitted with love, using inherited traditional know how passed down from generation to generation. 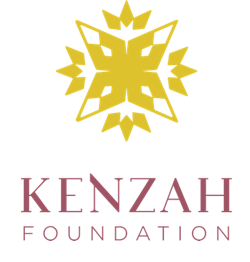 The Kenzah initiative addresses two main issues: women’s conditions, the endangered regional artisanal craftsmanship. Traditional artisanal crafts know-how and secrets are customary held by men, who unfortunately led by today’s economics would rather sign up for more lucrative jobs and forgo perpetuating thousands of years of knowledge passed down from generation to generation. If no action is taken, we may lose thousands of years of artistic knowledge. The initiative’s purpose is to pass down this know-how from whatever artisans are left to women with no real skills who are otherwise marginalized. Thus giving them the means to integrate the task force all the while preserving cultural and artistic heritage. As a social enterprise, the essence of the brand Nour Najem is very much intertwined with the Kenzah initiative whose products are incorporated in the pieces of the collection.